As part of our brand new and exclusive extensive range at HomesDirect365, comes this excellent armchair. This beautiful, high-quality armchair, created with a lovely blue fabric, comfortable cushioned seat, subtle angled backrest is all supported by four natural wooden legs. 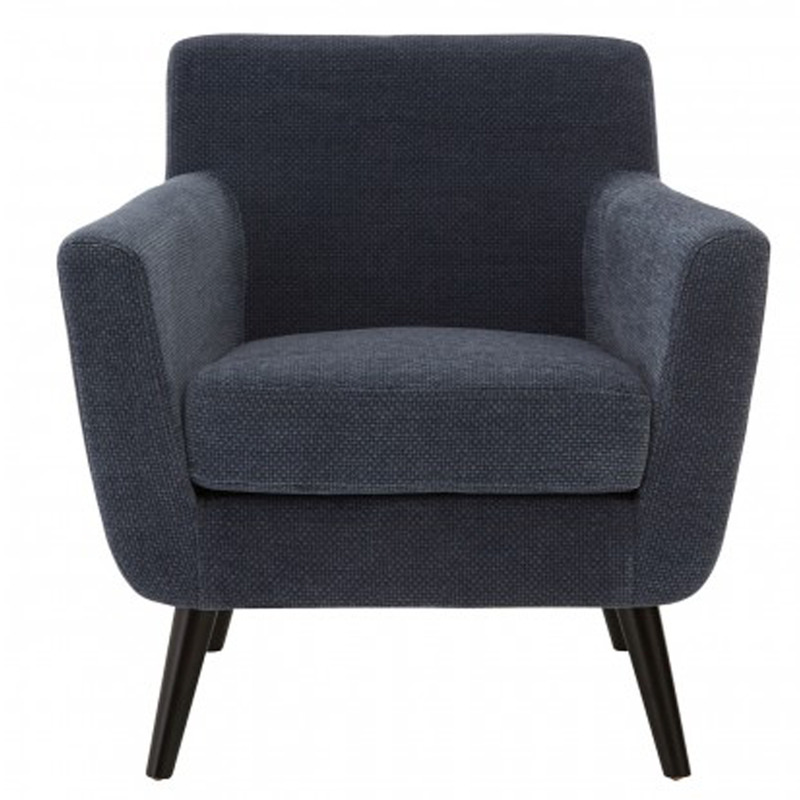 This stylish dark blue chair is the right way to add more colour to your home. Perfect for the living room and lounge.